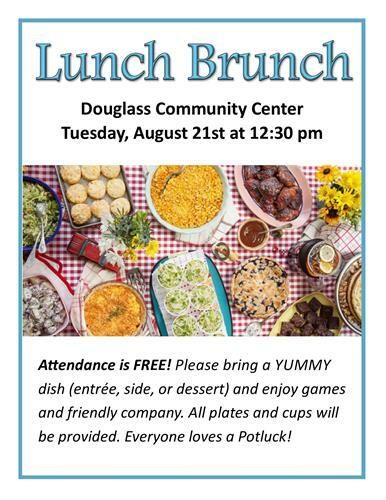 Seniors 55+ are invited to the Douglass Community Center August 21st at 12:30pm for a FREE Pot-Luck Luncheon. Participants are asked to bring in a small dish and enjoy great food and fellowship. Plates and cups will be provided. Stay afterwards for BINGO. Prizes to be given out to the winners. For more information call 910-692-7376. Hope to see you there! !